Unseen Agony -- R -- Warrick/Greg -- Greg comes to Warrick's defense. Spoilers for the episode, "Invisible Evidence." Willing -- G -- Gil/Greg -- Greg's reaction to the baby's death in the episode, "Feeling the Heat." Missing You -- NC-17 -- Gil/Greg/Warrick -- A recent disaster out of state requires Greg's skill as a DNA specialist. Santa to the Rescue -- PG -- Gil/Greg/Warrick -- Gil, unknowingly, volunteers Greg to work Xmas. 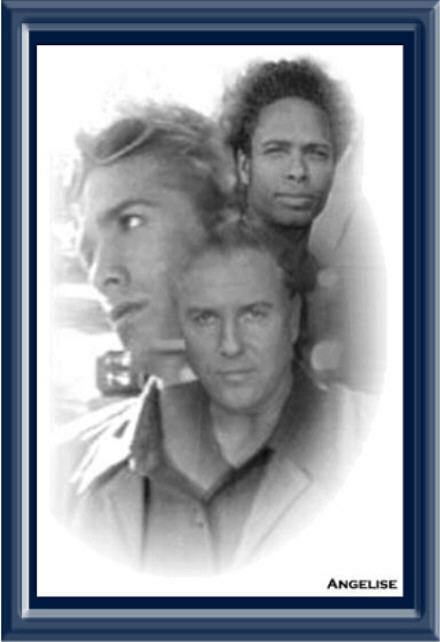 Flying Home -- PG -- Gil/Greg/Warrick -- Grissom returns homes from a trip. The Color of Jealousy is... Red? -- PG -- Gil/Greg/Warrick -- Greg gets upset about the Valentine gifts given to his lovers. The Call -- PG -- Gil/Greg -- A family issue dictates that Greg returns home and one night he receives a call. The Present -- PG13 -- Gil/Greg/Warrick -- It's Gil's birthday and Greg gives a present and receives one in return. Listen to What I Hear -- PG13 -- Gil/Greg/Warrick -- There comes a time when Gil will lose something precious.